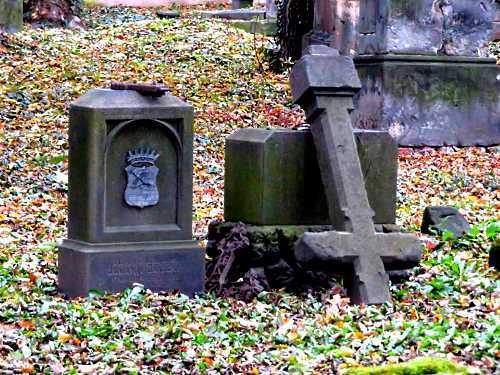 Like many old cities in Europe, Prague is dotted with cemeteries. They trace the history of the city — providing a resting place for famous figures as well forgotten local heroes and villains. 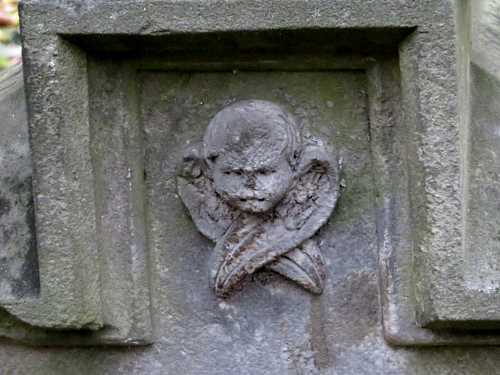 Some cemeteries were open for a limited time and capture a snapshot of history. Malostranský hřbitov, or Malá Strana Cemetery, for years looked like something from a horror film. 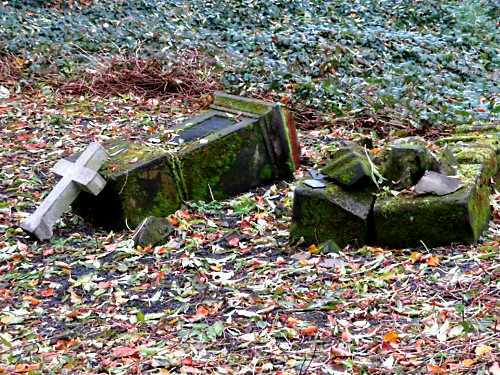 It had been closed to new burials for centuries and had fallen prey to decay and vandalism. Metal crosses and fences in particular were stolen by people who likely sold them as scrap metal. 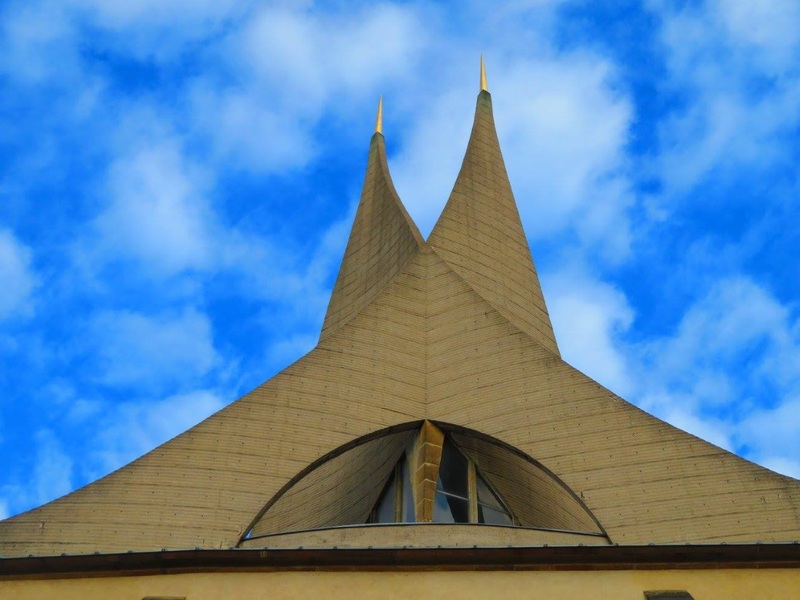 Recently, though, it has been undergoing restoration and is open to visitors on a regular basis. While it has been fixed up substantially from the days that vines covered virtually every marker, it still has an abandoned and forlorn feel, especially as the long shadows of a late afternoon take over. Typical of European cemeteries, the stones are not simple slabs that are all alike save for the names and dates. Each is a unique sculpture in stone or metal. Malostranský hřbitov is not as renowned as the famed Jewish Cemetery in Old Town, but in some ways just as fascinating. 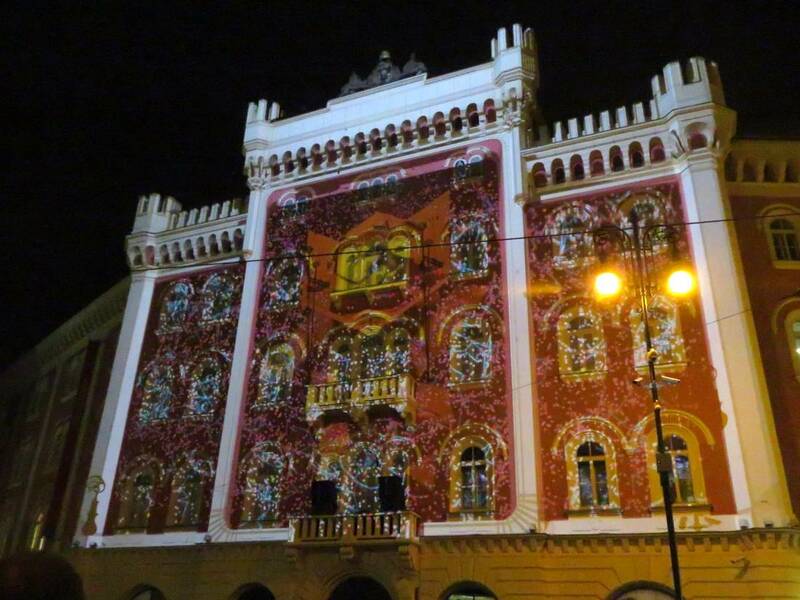 It is home to a popular legend about a local girl, as well as the whole “Mozart generation” of musical elites. Rich industrial barons, socialites and common workers are all equal, mixed together side by side in a green space between two busy roads. 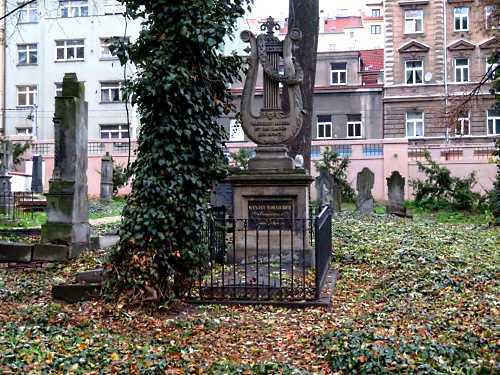 The first thing one notices about the Malá Strana Cemetery is that it is not in Prague’s Malá Strana neighborhood. It is in Smíchov, which used to be outside of the city walls. 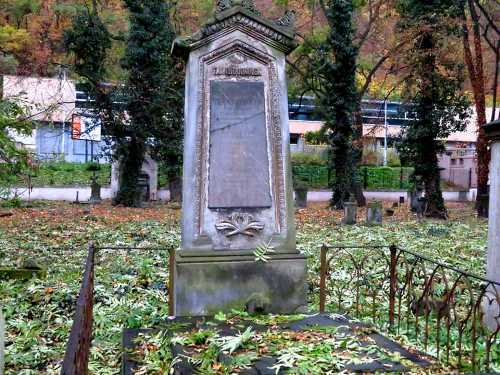 The cemetery was established in 1680 by Dr. Josef Bohumír Mikan during a mass epidemic so that the victims from Malá Strana could be buried away from the general population. 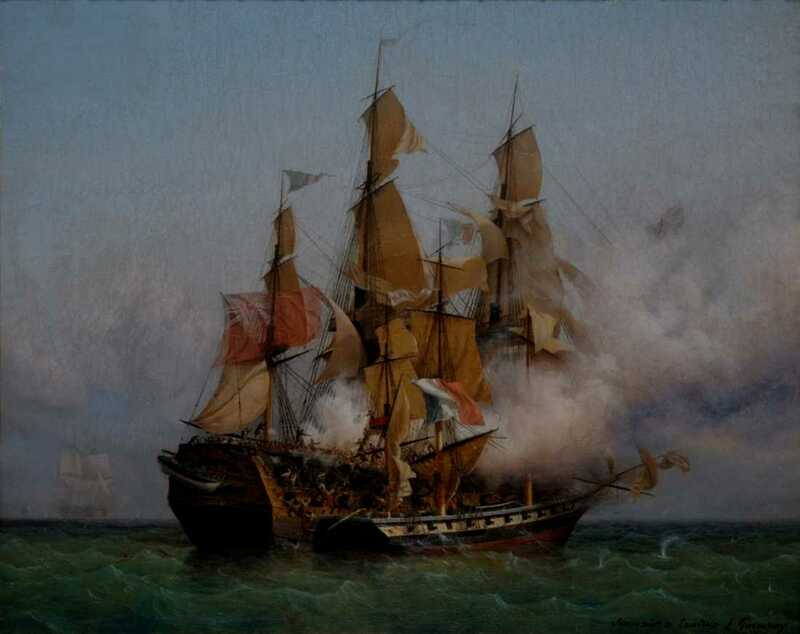 It was also used during another plague in 1713–14. The surrounding area was covered in vineyards at the time. A plague clinic was located nearby. A decree by Emperor Josef II banning burials within city limits opened it up to residents of the entire left bank of the Vltava river from 1787 to 1884. It closed because the city had finally surrounded it, and there was no space for new residents. It is now next to the Church of the Most Holy Trinity, built in 1831–37. Previously, there was a smaller chapel of St. Rocco from 1703. The most famous stone has a local legend. 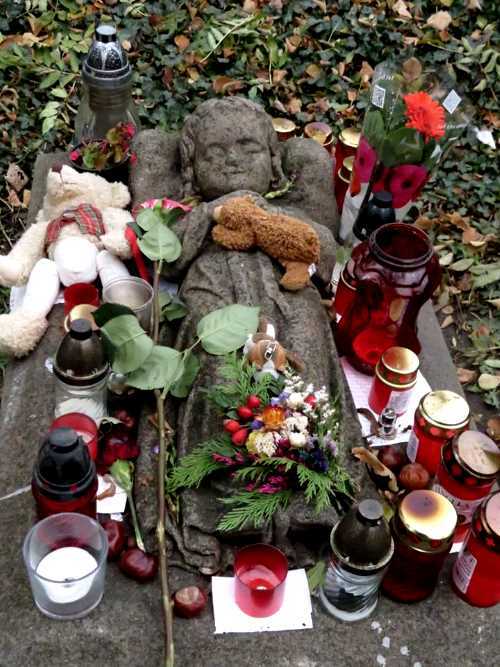 The grave of the Holy Girl (Svatá holčička) is still often covered in candles and toys from people seeking her blessing. 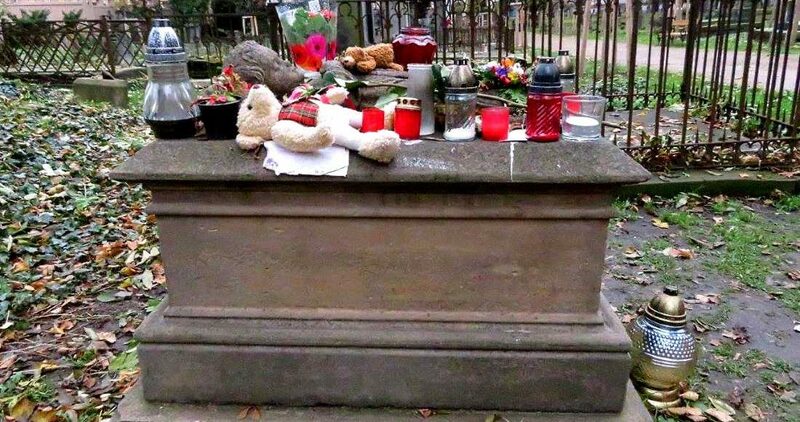 The tombstone is for a 3-year-old girl named Anna Degenová (1848–51). The tombstone, a wide rectangle on top of an elevated base, is by sculptor Josef Max and shows a young girl looking as if she is asleep on a bed with her arms folded. The pillow under her head looks a bit like angel’s wings, and that is what gave birth to her story. Due to some sort of mix up in Heaven when souls were being assigned, the legend goes, Anna got the soul of an angel instead of the soul intended for a baby girl. The angel had snuck into the baby-soul line so it could experience what it was like to be human. Music from no known source was heard in the air the day Anna was born. The stars shone brightly, even visible in the daytime. Clouds showed their silver linings. During her three short years of life, she could talk to animals and birds. She inspired people to be kind and generous. But one day she fell from her window. It was time for the angelic soul to return to Heaven where it belonged. Some say she was reaching out to let a bird rest on her hand and extended herself too far. Alternately, she tried to grab a doll she just dropped, or leaned out too far to wave at her parents on the street. It was simply time for the angel to go home, as it had accomplished its goal of experiencing humanity first hand. Candles that burn bright often burn briefly. The name on the grave has long been worn out, with only a faint imprint left. It is, however, Anna Degenová. She was most likely the daughter of a sergeant named Augustin Degen and day laborer also named Anna Degenová. The assumed parents are also buried nearby in the same cemetery, but with an inconspicuous marker. The family lived near Újezd. The fairytale version of Anna’s life was cooked up by author František Kožík for a 1942 collection of stories, but many people now take it as fact. He called the family by the name Rubín, as the name on the stone was illegible and he made no effort to check local records. Sculptor Josef Max made several monuments that can be seen across Bohemia, including a rather odd frowning lion at the bend in a road leading up to Prague Castle. He also made other tombstones in the cemetery. 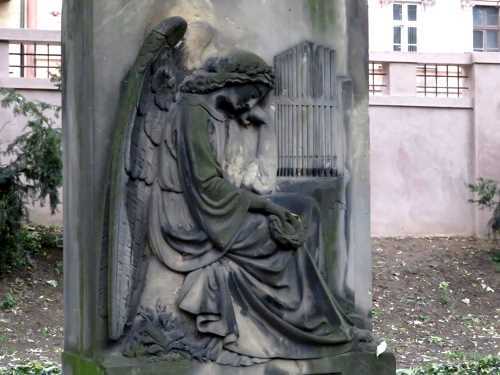 One is for composer Jan Nepomuk Augustin Vitásek and depicts an angel at an organ. The biggest monument in the cemetery is for someone with an equally impressive name: Prince Leopold Leonhard Raymund Thun-Hohenstein, the bishop of Passau. His giant statue is right at the crossroads by the main entrance. He lived from April 17, 1748 to Oct. 22, 1826. At the time of his death he was living at Cibulka, a nearby estate that is now an overgrown city park with a fake pagoda, fake castle ruin and several statues on classical themes including a symbolic entry to the underworld. 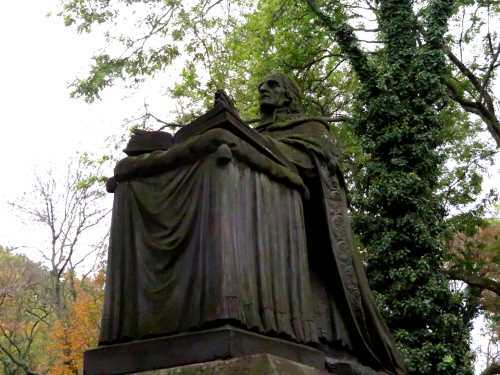 Thun-Hohenstein‘s tombstone was Václav Prachner, and it is one of his best surviving works in iron and stone. It depicts the prince cast in iron kneeling and praying, with coats of arms and other decoration on the base. The Thun-Hohenstein family owned several palaces in the city, some marked with Masonic symbols. A branch of the family used its Masonic connections to help bring Mozart to Prague. A stone plaque on the Church of the Most Holy Trinity states that celebrity Giovanni Punto, born under the name Jan Václav Stich, is buried in the cemetery. The exact location is unknown. He was famous in London, Paris and Germany, and is perhaps the best-known of the Mozart generation that is in the buried cemetery. 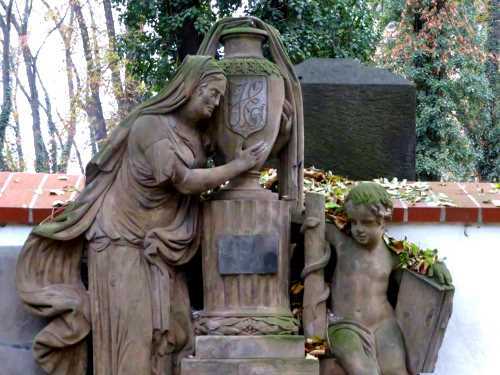 The most impressive tombstone, though, is a large harp-shaped sculpture for Václav Jan Křtitel Tomášek. The multi-instrumentalist and composer died in 1850. Tomášská Street is named after him. A rather modest stove oval marker is at the grave for composer and pianist František Xaver Dušek and soprano Josefína Dušková, who owned Bertramka, now a popular tourist spot. The couple was friends with Mozart, but whether he actually stayed at Bertramka is debatable. The visit wasn’t mentioned until long after Mozart had died, and nobody was left alive who could confirm it first hand. Architects Kryštof and Kilián Ignác Dientzenhofer, painters Antonín Mánes and Vincenc Morstadt and sculptor Ignác František Platzer are among the other artists in the cemetery. 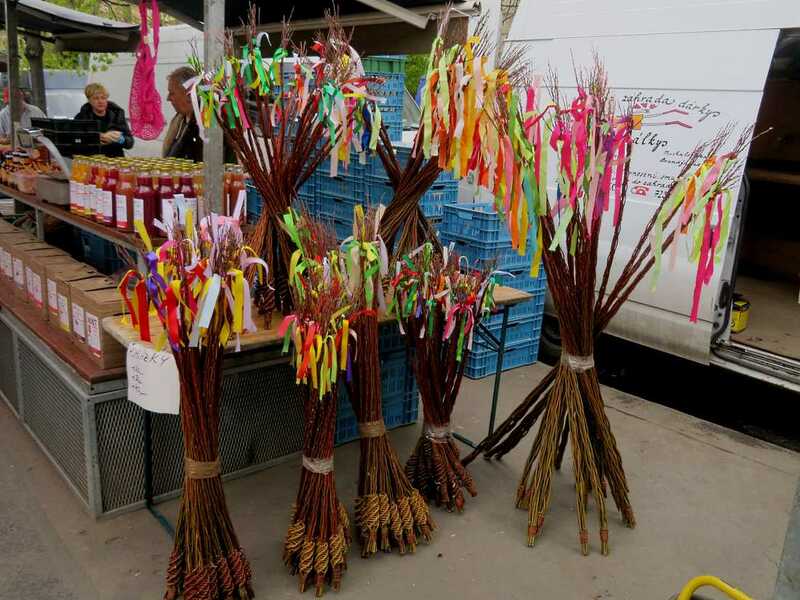 The Odkolek family, a name still known as a brand of baked goods, is among the industrialists there. Many of the most impressive stones, though, are for rather obscure and even unknown people. 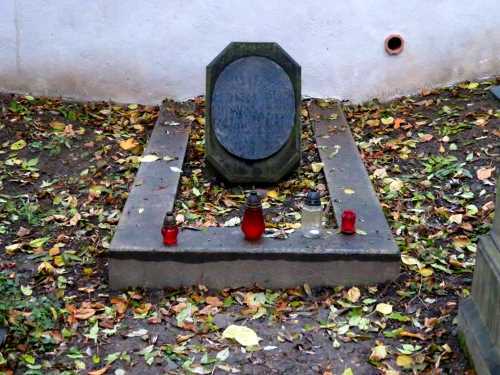 Writer Jan Neruda found inspiration in the cemetery and wrote Cemetery Flowers (Hřbitovní kvítí) in 1857 or ’58. Neruda is buried in the Vyšehrad cemetery. Author Karel Jaromír Erben used to be in Malostranský hřbitov, but he was moved when the cemetery was made smaller in 1951 to accommodate road changes. He can now be found at Olšanské hřbitovy (Olšany Cemeteries) on the other side of the river.